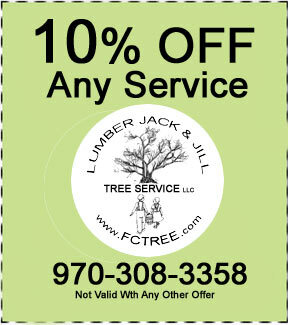 Lumber Jack & Jill are happy to make tree service affordable. Serving the Fort Collins, Loveland and surrounding Northern Colorado areas since 2006, we’ve gotten our experience in tree trimming, pruning and many other tree care services. Enjoy these coupons! We look forward to working with you.